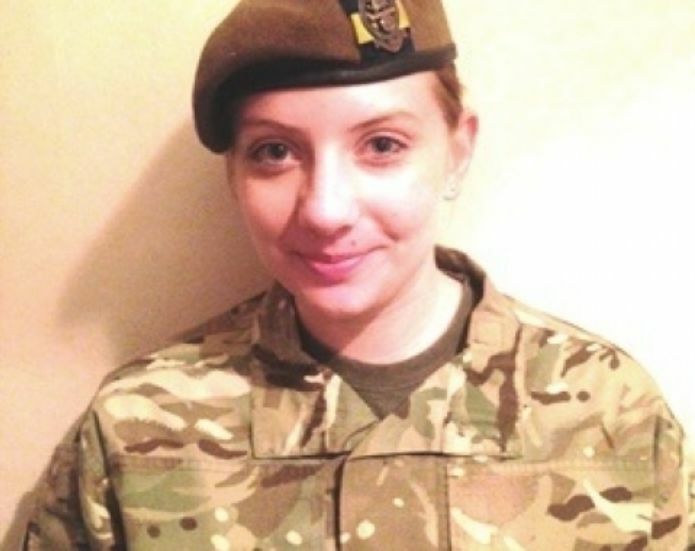 As a cadet and as an adult instructor Jemma Garraghan (23) has gained an impressive array of qualifications and seen the benefits of ACF training in helping to fast-track her career. But she’s seen other rewards as well – action, adventure, fun, friendships and the occasional ‘thanks’ from one of her cadets. “When I first went home and told my mum I wanted to be an Army Cadet, she laughed. ‘You're scared of mud!’ she said . She wasn't lying. I joined Woking Detachment when I was 13 and stayed until I was just over 18; having achieved my ‘Corporal’ at 3 star training. As a young person, Cadets changed my attitude to life completely. I learned self-confidence, self motivation, how much I could achieve when I put my mind to it ... and I worked out that mud doesn't bite, and trainers can be washed. Cadets has always been fun – I wouldn’t stick around if I didn’t enjoy it. When I left for University I tried other activities, but the camaraderie, friendship and fun I had as a cadet, and the HUGE range of personal development, qualification and travel opportunities the ACF offers just couldn't be replaced. I don’t think I’d be the person I am today if it weren't for the ACF. I've found self-confidence, self-motivation, improved my physical fitness, broadened my horizons by meeting people from all sorts of backgrounds and I’ve learned how to remain calm under stress and pressure - NOTHING fazes me anymore. I also credit the ACF with helping me to get my current ‘day job’ as a Project Manager for a company specialising in Leadership and Management Training. l didn't have any relevant experience or qualifications but got the job purely because of the skills I'd learned at the Army Cadets. Cadets has always been fun – I wouldn’t stick around if I didn’t enjoy it. I enjoy the challenges I face and the sometimes silly humour of my colleagues – like when they tied me to a tree… My best friends are from the ACF – they have the same sense of humour, they’re non-judgemental, I can ask them anything and I know they’ll be there for me regardless of the situation. There's never a day where you get bored - just take Annual Camp as an example - all the days are action-packed with the Army Proficiency Certificate syllabus subjects, Adventurous Training, Expeditions, Fieldcraft Exercises, and the obligatory cadet disco. You know you've been a part of that action when you go home with a whole bunch of stories that you can't wait to tell people (even though you're tired, and sleep for about three days solid!). The best moments for me as an instructor are when cadets push their boundaries, and achieve something they didn't think possible - and when they THANK YOU for that - it's heart melting. You can't put a price on a ‘Thanks’ from a teenager. I’ve had some great adventures in the ACF, including three weeks in the Australian Outback as a cadet and scuba diving in the Red Sea in Egypt as an instructor. But, the best moments for me as an instructor are when cadets push their boundaries, and achieve something they didn't think possible - and when they THANK YOU for that - it's heart melting. You can't put a price on a ‘Thanks’ from a teenager.